Full lace wigs base have lace around the unit and require the lace to be cut around the unit. It can be parted anywhere on the scalp, has more versatility and can be styled in up dos, ponytails and braids. 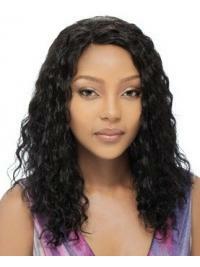 Full lace wigs are breathable and light. They also give the appearance of hair growing right from the scalp. urhair.co.uk offer many natural full lace wigs with high quality. Choose us and we won't let you down!